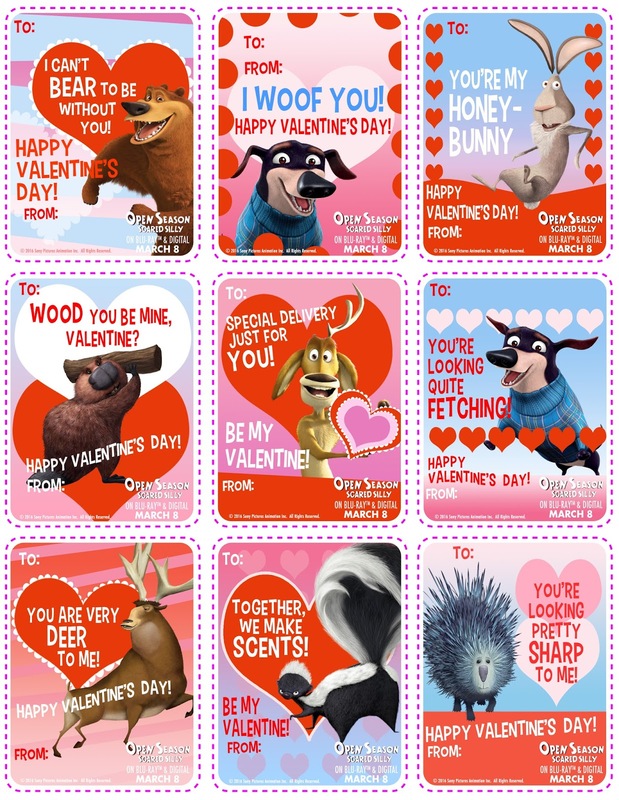 One Momma Saving Money: Celebrate the 10th Anniversary of Open Season with #Free #ValentineCards and the upcoming release of Open Season Scared Silly! Celebrate the 10th Anniversary of Open Season with #Free #ValentineCards and the upcoming release of Open Season Scared Silly! Here are some super fun, cute and FREE printable Valentine Cards inspired by Open Season! More free printables below too! This national debut, from Sony Pictures Home Entertainment, is the latest release for one of the most successful animated franchises to date, bringing back Elliot, Boog and all of the beloved woodland creatures from the previous Open Season series. The fourth installment is a comedic mystery adventure directed by David Feiss (head of story on the original Open Season and creator of the popular TV series Cow and Chicken); produced by John Bush ("The Simpsons"); and featuring computer animation from Rainmaker Entertainment, Inc.
OPEN SEASON: SCARED SILLY is a heartwarming tale incorporating good values and laugh-out-loud fun for all ages. The Blu-ray™ and DVD releases will be packed with bonus materials including all-new featurettes, bloopers, a director’s commentary track, and an Inside Sony Pictures Animation profile of director David Feiss. The first featurette, "OPEN SEASON Super Speedy Re-Cap" will give viewers a look back at the previous three films, and some of the most exciting moments of the franchise. 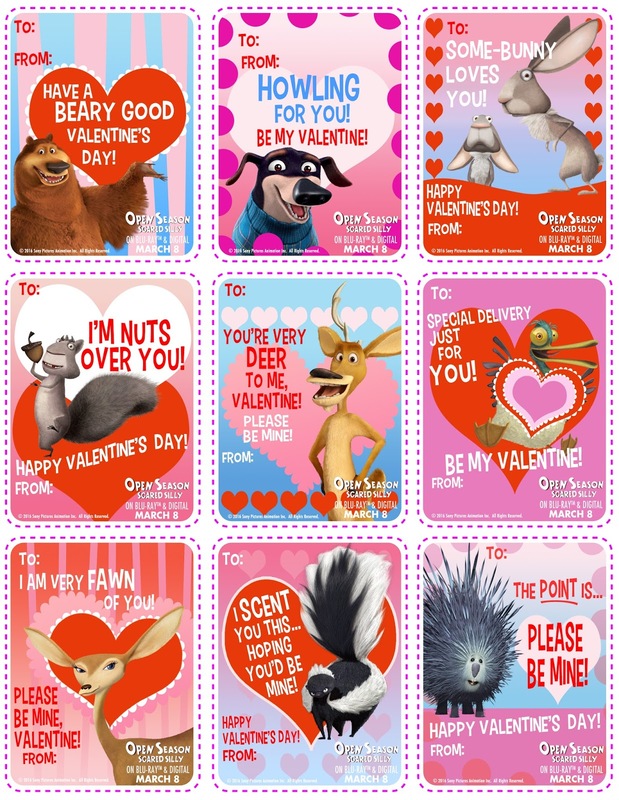 "Scaredy Pants: The Fears of OPEN SEASON" will tackle what our favorite characters are truly afraid of! Exclusive to the Blu-ray, "Stepping Into the Spotlight – Mr Weenie’s Process" gives a glimpse into Mr. Weenie’s trials and tribulations of shooting his most trying scenes for the brand new movie.